JOHANNESBURG, Apr 17 2013 (IPS) - If job creation is South Africa’s major social and economic priority, the country should be investing in people rather than in robots that populate the country’s highly-automated automotive manufacturing sector, according to local economists. 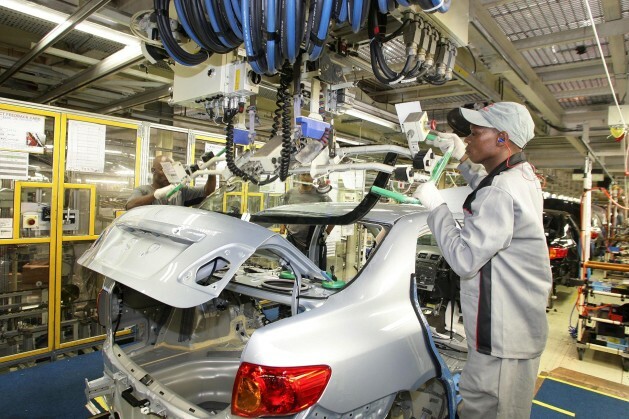 South Africa’s automotive manufacturing sector is the country’s flagship industrial support sector, with about two billion dollars having been pumped into it through a series of subsidy schemes. However, as the industry is capital intensive, some commentators are worried that the South African government has been assisting a sector that does not do enough for job creation. “If we look at the big picture, there are other industries which would do more for job creation than the automotive sector – such as textiles, agriculture, food processing, furniture making and tourism,” independent economist Mike Schussler, chief executive officer of the consultancy economists.co.za, told IPS. Aid has traditionally been channeled through the long-established Motor Industry Development Programme, which was updated and re-branded as the Automotive Production Development Programme (APDP) in 2013. “The capital requirements of the motor industry are very high, and so we need to give a lot of subsidies to attract investment. It is a problem when you have an industry where you employ assembly-line robots, not people,” Schussler said. He explained that while automotive workers often need to be highly skilled and trained, there are other industries where a less sophisticated workforce is needed. “We can create jobs more cheaply, and in rural areas where they are really needed, in sectors such as tourism,” he said. While trade and investment consultant Duane Newman of Cova Advisory told IPS that it was important for South Africa to have a globally respected automotive sector, and that the government was right to retain a support scheme for the industry, he said it could be argued that the industry was given more support than it should be. He said support for the industry was around two billion dollars a year – about 20 percent of the support the South African government gives to all local industries. “Clearly, the automotive sector does not account for 20 percent of the GDP of South Africa – it’s nearer to six percent – so it could be argued that the industry is being given three times the support it should receive. “However, key players in the automotive sector say that the industry is far larger than just its car assembly element, and that its importance to the country goes far wider than its role as an employer,” he said. Johan van Zyl, president of Toyota in South Africa, chief executive officer of Toyota Africa and president of the National Association of Automobile Manufacturers of South Africa, told IPS that government support has been critical for the expansion of the industry since the end of apartheid in 1994. “We believe that government support – regulatory and otherwise – was critical in enabling an inefficient and inwardly-focused sector to modernise and compete on a global stage. Much of the inefficiencies of the pre-democratic era were the result of regulation,” he said. “The auto industry is the largest manufacturing sector in South Africa. It is a key source of new technology and investment and, importantly, of skilled employment,” Van Zyl said, adding that this aligns perfectly with the government’s goals of developing the economy away from traditional areas where there is little local knowledge transfer and value addition. He rejected Schussler’s suggestion that too few jobs are being created in the industry. Jeff Osborne, the chief executive officer of the South African Retail Motor Industry Association, which represents car dealers, panel-beaters and other consumer-focused branches of the automotive sector, shared this view. “We have seen high levels of investment by automotive manufacturers in South Africa, and this can be seen as a vote of confidence in the country,” he told IPS. “Fourteen percent of South African exports are made up of automotive and related goods – and that’s higher than the value of our gold exports,” he argued. He said that while auto manufacturing accounts for around 25,000 jobs, the auto component sector employs 60,000 people, and the retail side of the motor trade gives employment to a further 30,000 workers. “You need to look at the whole of the industry when you discuss job creation, and not just limit this to manufacturing,” he insisted. A major challenge, which the APDP was intended to address, is the degree to which South African-produced components are used in vehicle assembly, making up what is known as local content. “At the moment we use 60 percent imported components and 40 percent local contents, and that should be reversed,” Osborne argued. Jonas Mosia, industrial policy coordinator for the Congress of South African Trade Unions, agreed that the automotive sector should be looked at from a wide perspective, and not just in terms of its manufacturing arm. “We need industrial investment, and therefore in terms of industrial policy you identify sectors to anchor investment,” he told IPS. 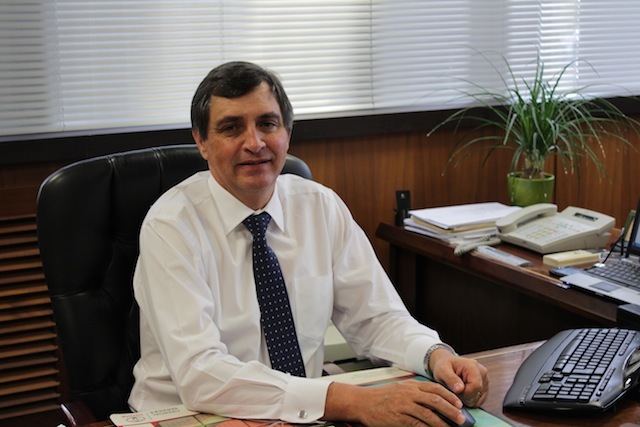 However, Roger Pitot, the chief executive officer of the South African Automotive Components Industry, expressed concerns, in a written analysis to industry members, that there were insufficient incentives for auto manufacturers to boost local content. He said that while he supports the incentivisation of vehicle assembly in South Africa through the APDP “there is little incentive for (manufacturers) to increase localisation of components.